The past week I saw a few nice colour-ringed birds, but unfortunately most of them were too far away to take pictures. Among them were a French Black-tailed godwit, a Dutch Spoonbill and a Belgian Mute swan. Fewer LBBG's around now, but despite this I still managed to find two new ones, and some of the regular birds were seen as well. 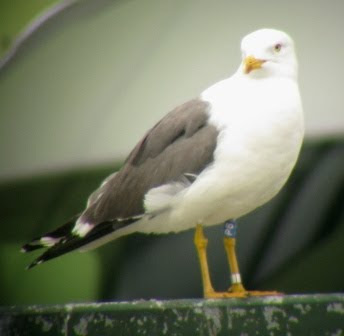 LBBG blue P6 (F Roels), I saw this bird three times in March last year, and now it has returned to Gent. 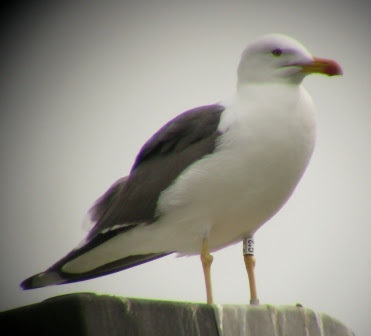 LBBG white G.2 (RJ Buijs), a bird which has appeared on this blog before, it still hangs around in Gent, and can be found on the same streetlight most of the time. 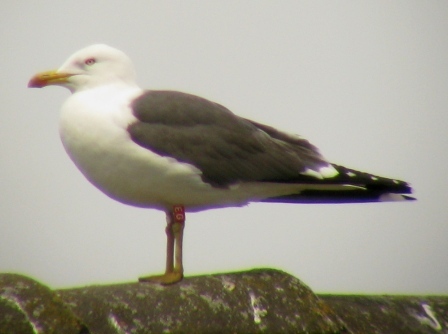 LBBG red EG (RJ Buijs), one of the new birds, seen today. 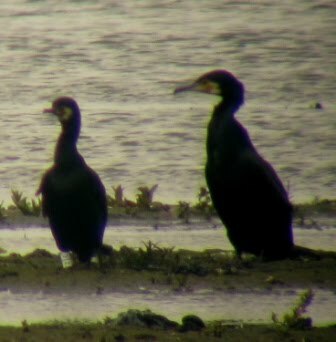 Cormorant white Z | E (S van Rijn), ringed in the Netherlands in 2006, seen in Gent in 2007, and now back here (waiting for the life-history).